Records By Rachro: Bailes Regionales de Mexico! Yay, mariachi music! 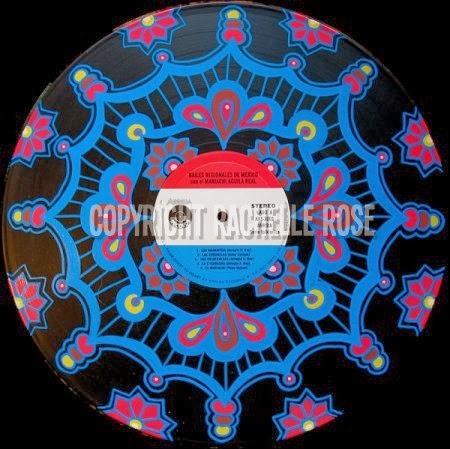 A blog of my artwork, featuring mostly painted records and mandalas, using watercolor, acrylic, oil, and ink. My art pieces are generally in the psychedelic and abstract style. I also create functional art items. Bailes Regionales de Mexico! Yay, mariachi music! Here's a perky mariachi album! I have a special fondness for mariachi music. When my husband and I got married, we had our reception for family and friends in Houston at the Cadillac Bar. Our music was provided by a two-man mariachi guitar duo, whose program was about 75% Beatles music. What used to be right is wrong. 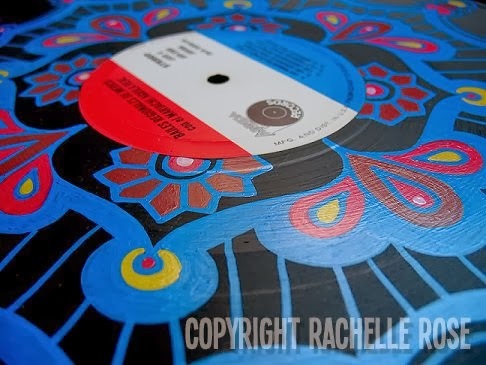 I like to paint on old, messed up records. All images and information are copyright Rachelle Rose. Awesome Inc. theme. Theme images by kelvinjay. Powered by Blogger.